This program originally aired on the live broadcast of the Untitled Art, Podcast on Saturday, December 8, 2018 at 11am EST, live from the Untitled Art fair in Miami Beach. --- The artist Sandra Erbacher speaks with librarian and curator Sarah Hamerman and curator Elizabeth Spavento about her interest in bureaucracy, archival strategies and the slippery notion of truth. Their conversation began through studio visits and a panel discussion on occasion of Geometry of Oppression, a solo exhibition at SPACE, Portland, ME in March 2017. 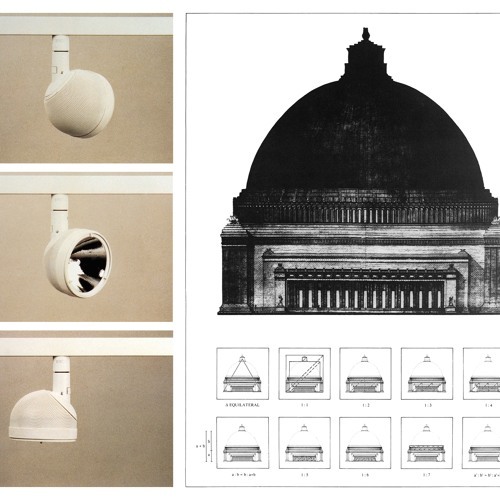 Erbacher, Hamerman and Spavento discuss Erbacher’s recent work, which explores the parallels between bureaucracy and fascism via the appropriation and juxtaposition of images from archives of office furniture, fascist architecture, and the history of Nazi Germany. Erbacher subverts archival strategies to tease out shared formal characteristics between juxtaposed sets of images, in order to allude to a detached efficiency, rational compartmentalisation, a system of rules, and a formal hierarchical structure, while their origin and meaning is purposefully obscured. As a result, fluid associations between disparate narratives are created, and others are cast into doubt. This, in turn, generates a situation of textual instability and uncertainty that aims to ask questions about the existence of an absolute truth.